However, although all the distinguishing elements are still in place, the residential enclave in Ulu Klang, Kuala Lumpur is more often referenced as where the collapse of the 12-storey Highland Towers claimed 48 lives in 1993. 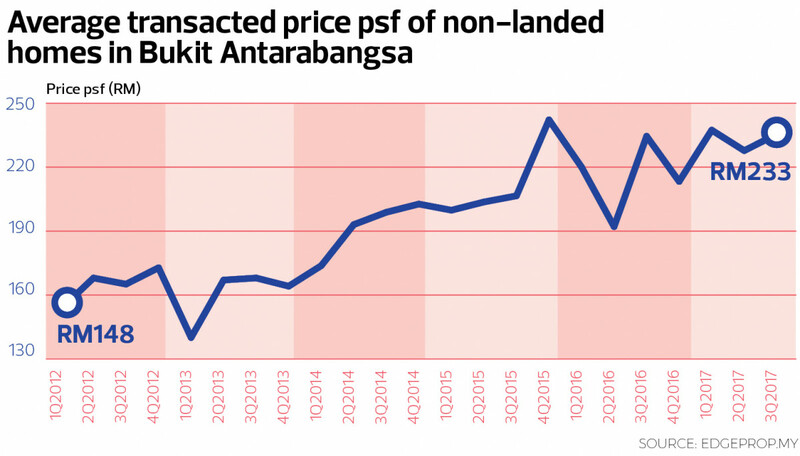 A quarter of a century has not managed to lift the shadow off that dreadful day, and Bukit Antarabangsa has been removed from property investors’ and homebuyers’ radar ever since. “Bukit Antarabangsa is a place where only people who know the place well or have lived there will consider. In fact, no new developments have been launched in the area and one of the main reasons is the stigma it holds. 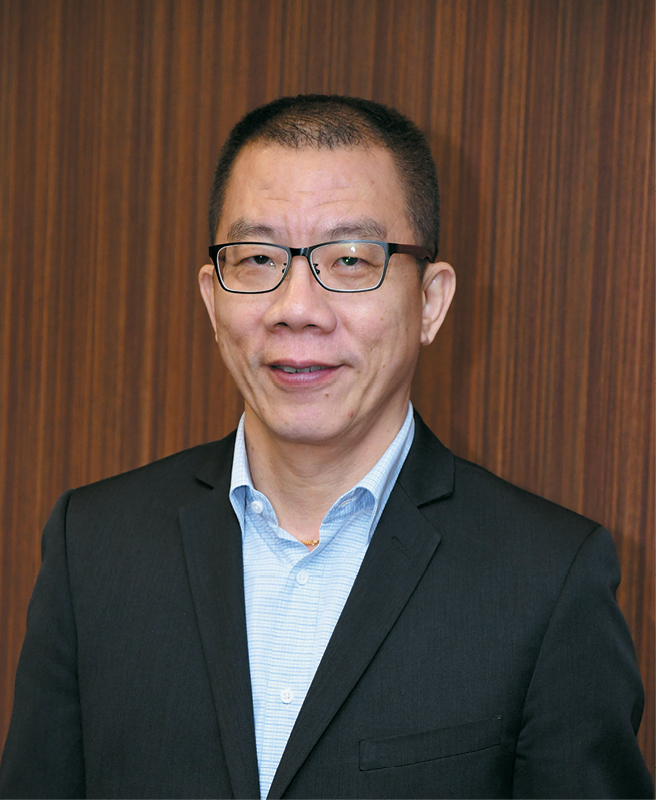 Even the local council would think twice before approving any [property] project in the area because it will only attract negative sentiments,” says Laurelcap Sdn Bhd executive director Stanley Toh. Meawhile, Jordan Lee & Jaafar Sdn Bhd executive director Chin Shiow Wei says the fear of landslips has subsided slightly but not entirely. “Landslides and hill slope mishaps in other areas — such as the recent one in Penang — tend to bring back memories of the tragedy in Bukit Antarabangsa,” she tells EdgeProp.my. However, not all is lost. The fact is, residential property prices in this hillside enclave have been edging up for the past few years. 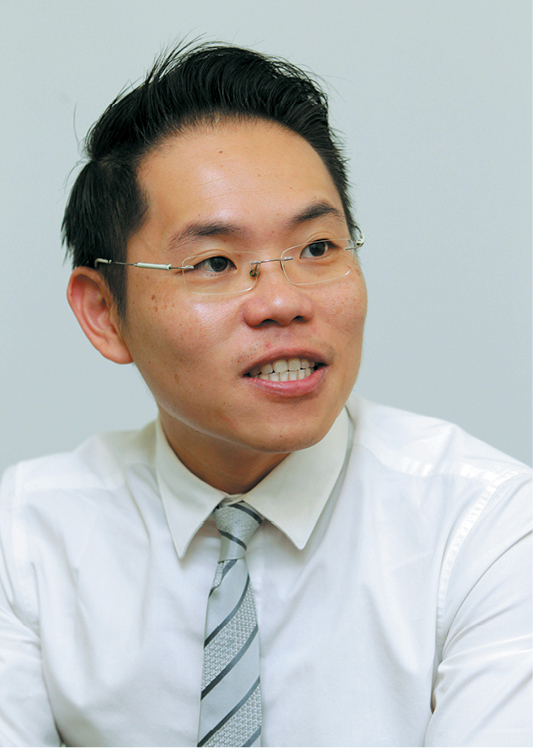 Nawawi Tie Leung Real Estate Consultants Sdn Bhd managing director Eddy Wong says that while the number of transactions at Bukit Antarabangsa has slowed recently, prices have been rising, albeit at a slower pace. “This is not unlike what we observed in the overall property market in the Klang Valley, so it is quite consistent with the general trend,” he points out. Meanwhile, Chin attributes the slow but rising price growth to the spillover effect from the more substantial price hikes of the existing and newly launched properties in the surrounding areas, coupled with improvements in connectivity such as the completion of the Duta-Ulu Kelang Expressway (DUKE). 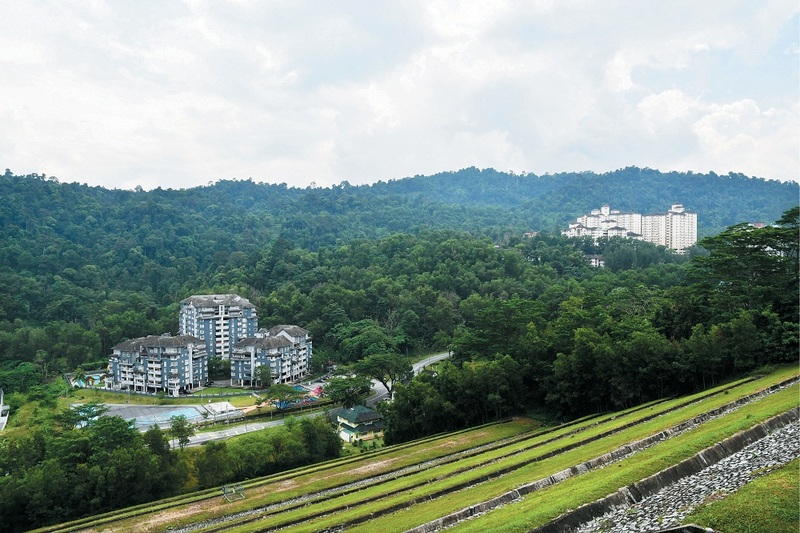 “Be it for own stay or investment [in Bukit Antarabangsa], the hillside risk will, to a certain extent, constantly be an influencing factor for homebuyers. “They consider not only the safety aspect but also the degree of future price appreciation, ease of disposal and even ease of financing,” she says. Laurelcap’s Toh cites that some of the factors that could lure homebuyers to Bukit Antarabangsa are its proximity to Kuala Lumpur city centre, its accessibility via DUKE and the Middle Ring Road 2 (about 20 minutes to the city centre), its natural lush environment, and the fact that Bukit Antarabangsa is a well-known and established neighbourhood. Furthermore, being up on a hill, it enjoys a panoramic view of the Kuala Lumpur city skyline. Affordability is a significant draw as well, as Jordan Lee & Jaafar’s Chin points out. 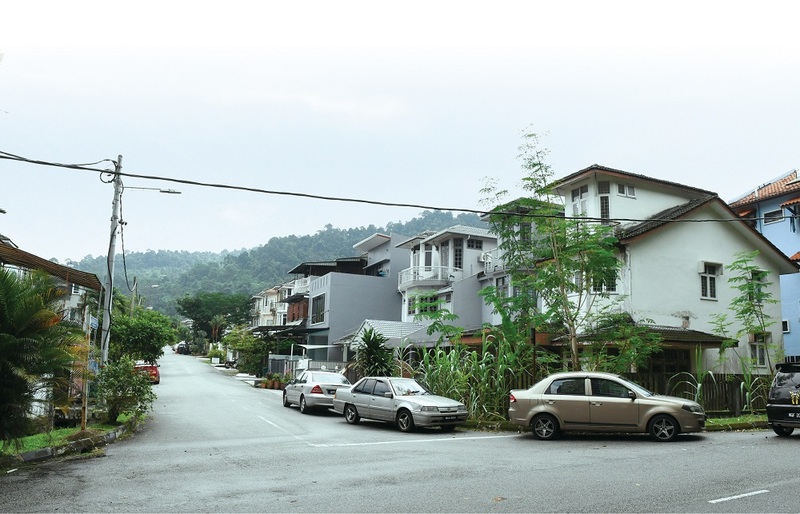 She notes that 2-storey terraced houses in the hillside locale are relatively cheaper — in the region of RM600,000 per unit, compared with nearby residential areas. For instance, at Taman Ukay Bistari, prices of similar properties range from RM750,000 to RM800,000, while those at Taman Melawati range from about RM750,000 to RM800,000. In Wangsa Maju, they are going for RM800,000 and above. On the non-landed homes in Bukit Antarabangsa, Chin says they can be considered bargains as they are mainly condominiums with large unit sizes of above 1,000 sq ft but going for less than RM400,000 per unit. Based on seven sales listings on EdgeProp.my, the average asking price of Villa Duta, a condominium development in Bukit Antarabangsa, is RM287,857, with unit built-ups starting from 1,100 sq ft.
Due to its tragic past, the housing prices at Bukit Antarabangsa have always fallen behind its neighbours such as Taman Melawati, Kemensah Heights, Dataran Ukay and Taman Melati, notes Toh. 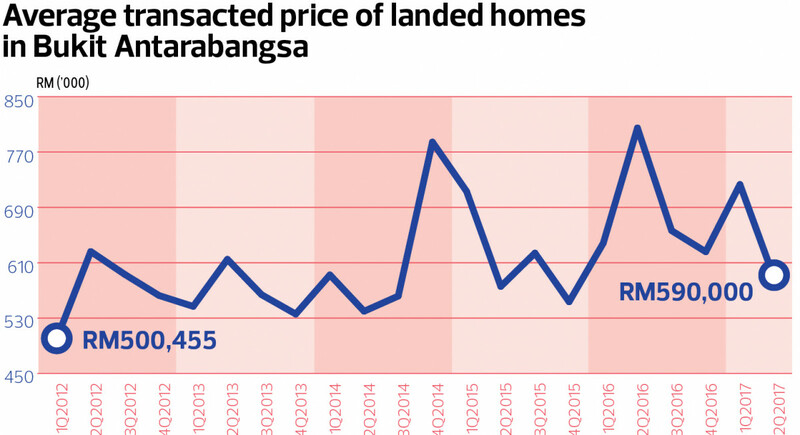 “As property prices in these areas reach an unaffordable point, Bukit Antarabangsa suddenly becomes pretty attractive, hence the slight upward trend [in the price growth],” he says. According to data on EdgeProp.my, as of 3Q17, the average transacted price for non-landed homes in Bukit Antarabangsa is RM223,333, while the average transacted price for landed homes is RM590,000 as of 2Q17. 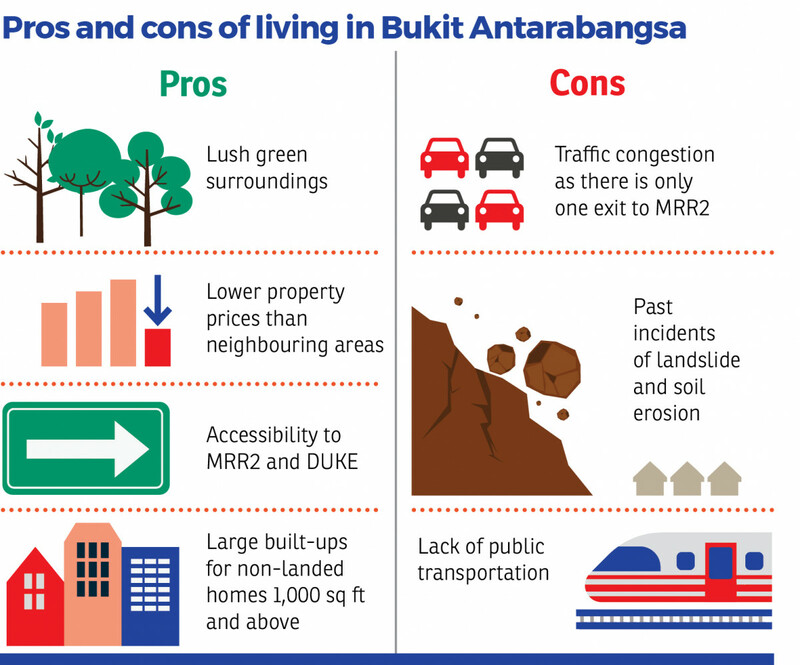 However, the negative sentiments that hover over the township notwithstanding, Nawawi Tie Leung’s Wong notes that traffic in Bukit Antarabangsa can be quite congested at times as there is a lack of public transportation in the vicinity. “But this is probably the case for a number of other neighbourhoods in the Klang Valley as well. Residents have to rely on their own transport getting in and out of the neighbourhood,” he says. 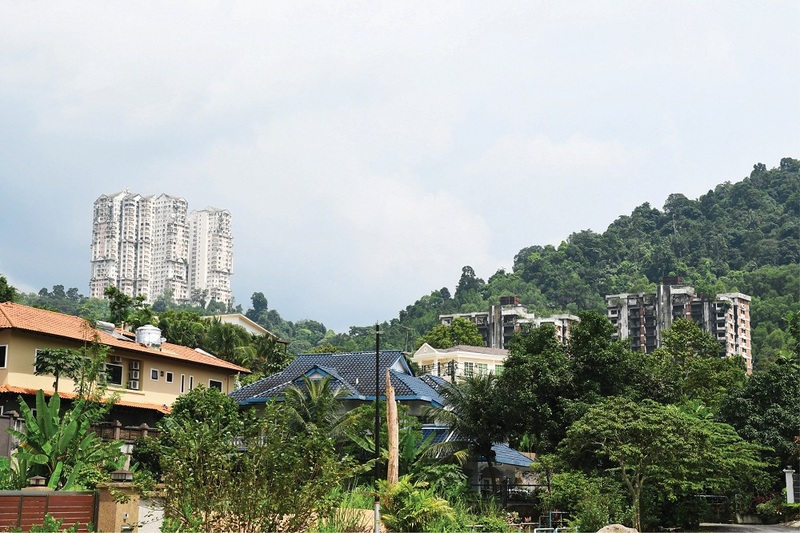 Going forward, Wong believes that any future developments in Bukit Antarabangsa will first have to overcome the concerns about landslides recurring in the future. “This is a perception issue, which if handled well can alleviate some of the concerns and get the market excited about this location again,” he says. This story first appeared in EdgeProp.my pullout on Feb 2, 2018. Download EdgeProp.my pullout here for free.